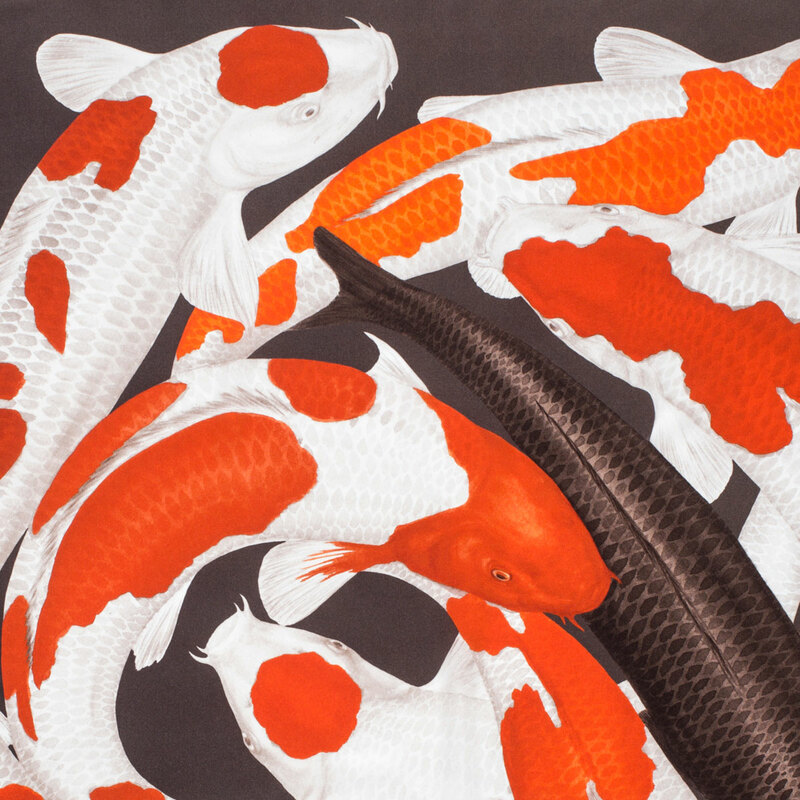 Koi print featuring eight red-and-white ‘Kohaku’ plus one black koi. 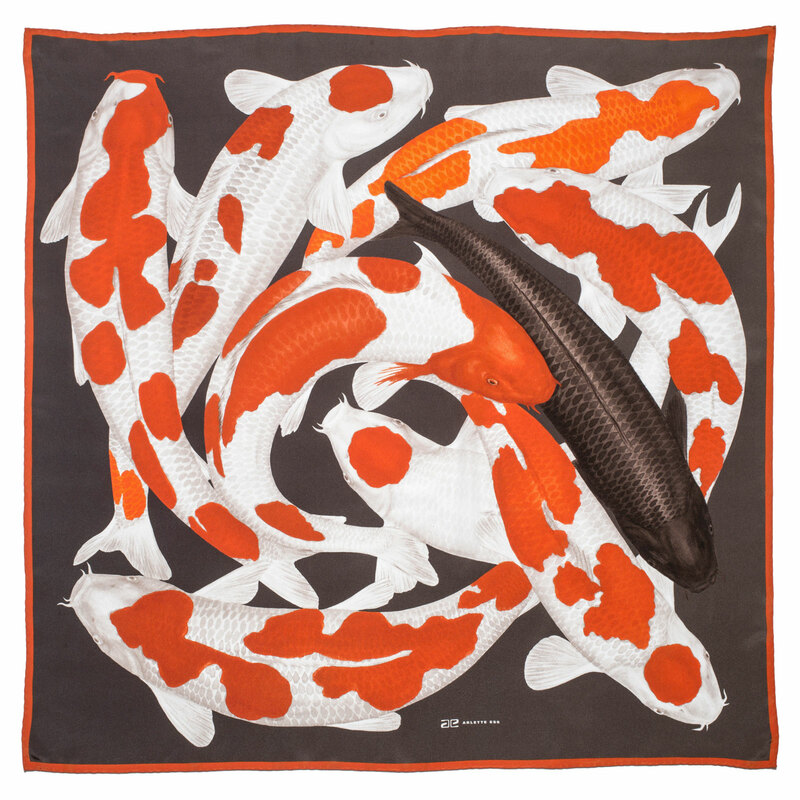 Classic 90x90cm square silk scarf, hand-finished Italian silk crepe de chine. 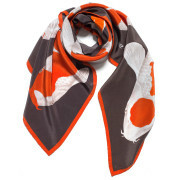 The scarf print is based on a monochrome indian ink drawing. 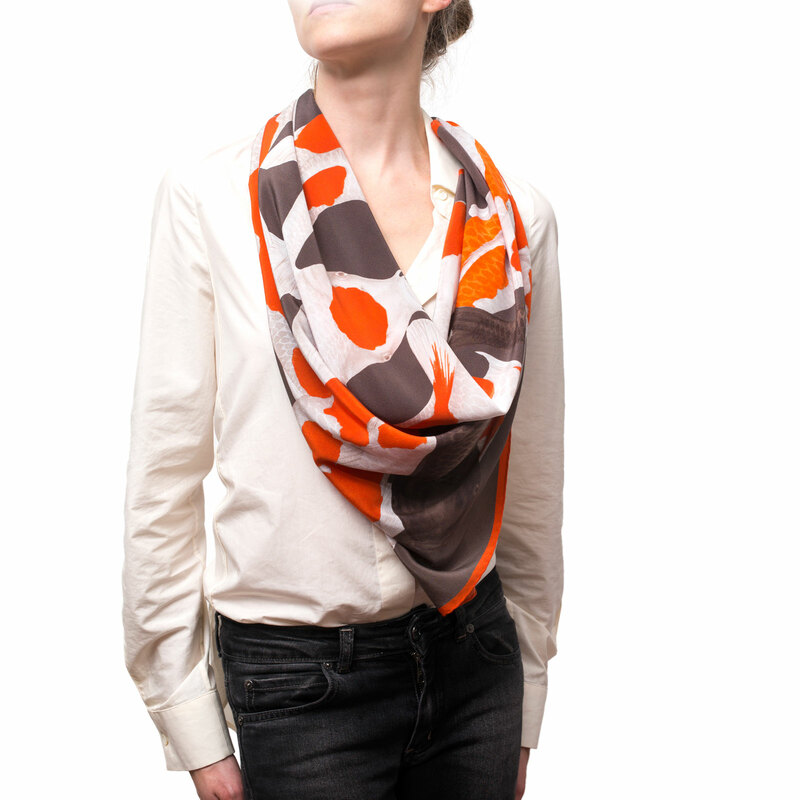 You can read more about the inspiration and see work in progress images here. ‘Koi I’ features 9 koi carp, 8 of them are red-and-white Kohaku, a classic breed and probably the most popular of all koi (some champion Kohaku are traded for millions of yen!). The 9th fish is black, this number and combination of koi is believed to be very auspicious. 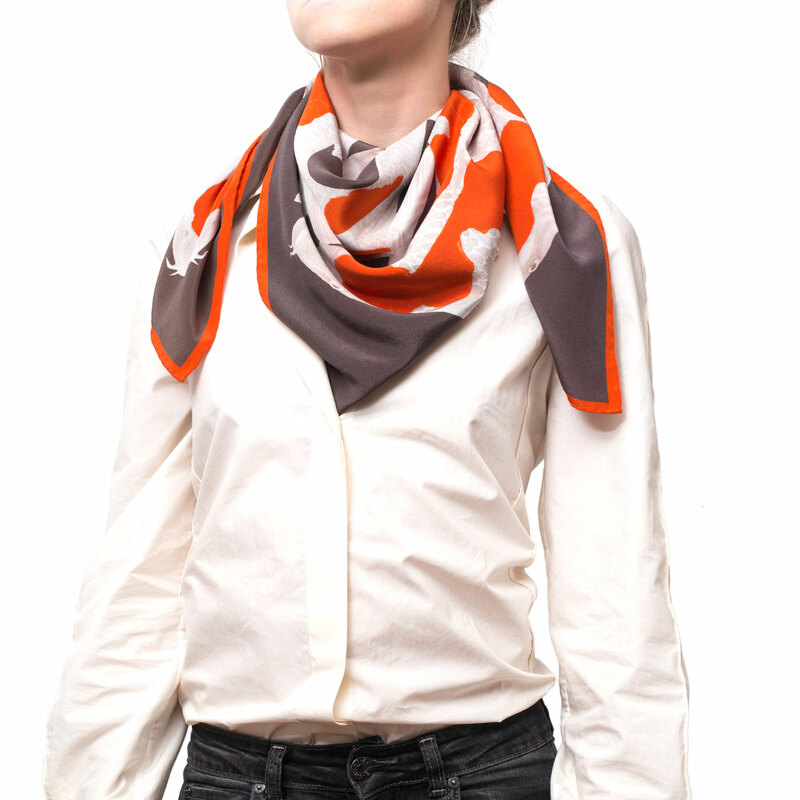 The red has an orange hue, and when worn this scarf shows a striking pattern of grey, orange red and off white. 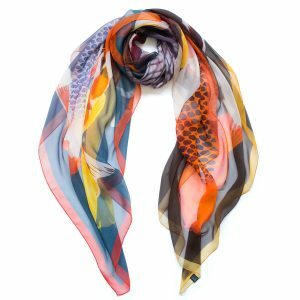 For the scarf I chose 100% silk crepe de chine for its sophisticated matte texture with subtle sparkle. 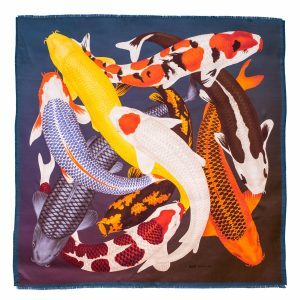 It has a satisfying weight and drapes beautifully, and the artwork shows exceptionally well on this fabric. Silk is a naturally sturdy material, and in this quality a scarf will last a lifetime. 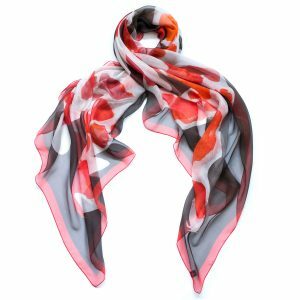 This size is very easy to wear and adds instant chic to a simple outfit. 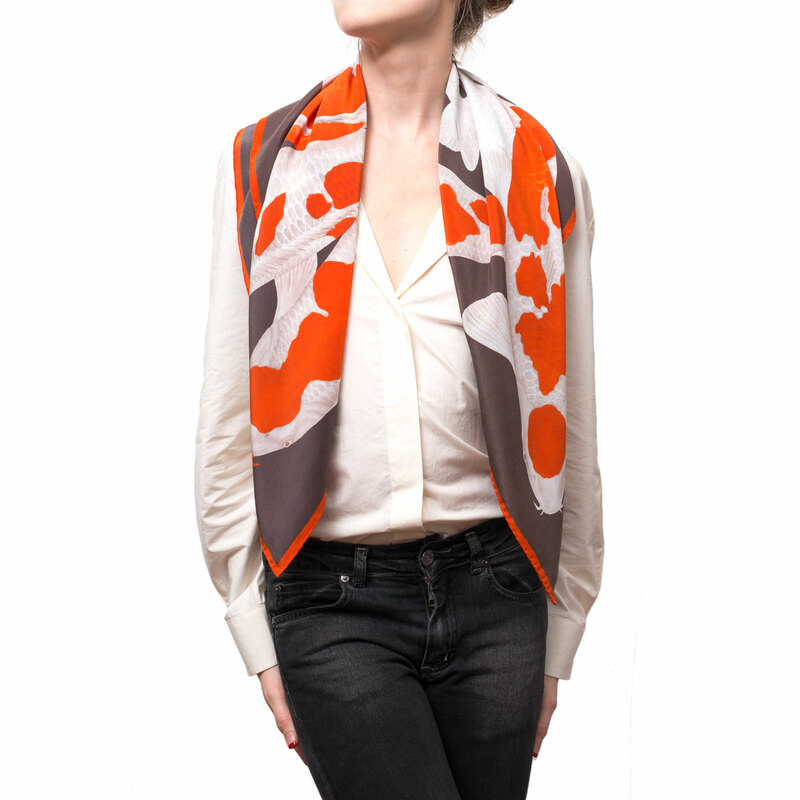 There are lots of ways to integrate it into your wardrobe, and a silk scarf never goes out of fashion.